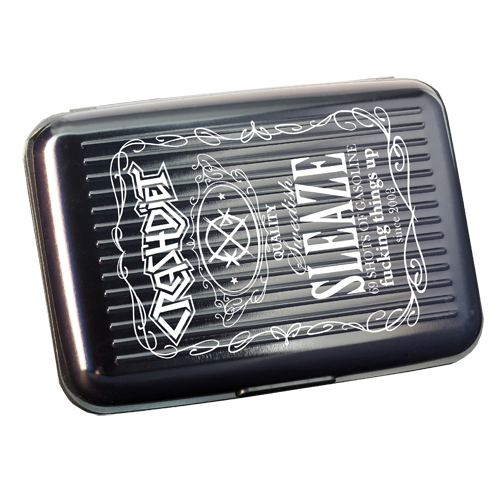 Our classic metal wallets are finally back in stock! Actually it's more of an aluminium card holder... but still, you get the point! :). 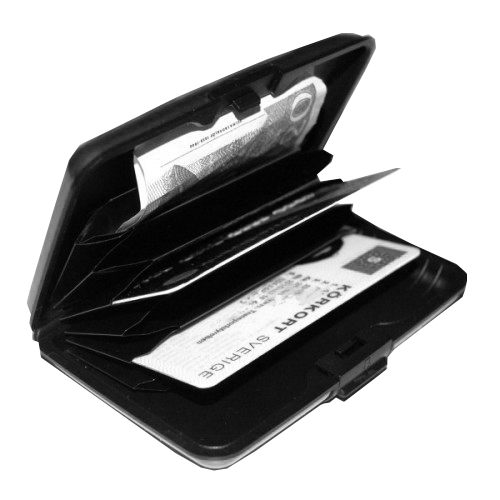 Keeps your credit cards, driver's license etc in place... and even some bills. A great gift item. Measurements approx : 7x11x2 cm or 2.75"x4.25"x1.75". I LOVE this wallet! It's the coolest idea! It's not much good for holding much cash as it the bills have to be folded over twice in order to fit, and then the wallet gets too fat and doesn't close firmly, but it's just right for cards, ID, etc. It's perfect pocket size and I've not seen another wallet like it anywhere.